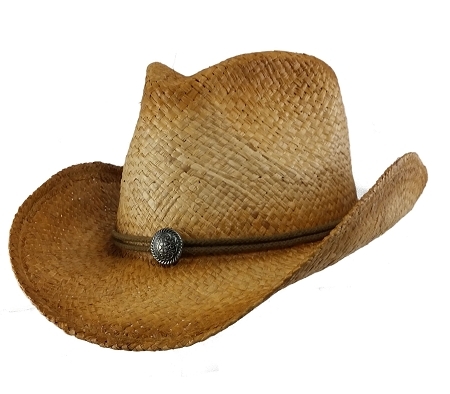 Our Big Size Straw Cowboy Hat has the hottest new tea stain and is made from the softest straw you will ever put your hands on. Wire in the brim lets you shape this cowboy hat into any style you like. Nice, soft, breezy hat. Seems sturdy enough. Keeps the sun off my big head. It is very difficult for me to find hats that fit. This is my fourth hat from Big Head Caps and I haven't been disappointed yet. Nice hat. Fits well. I was real pleased with how it looks. The hat is good quality and is just the right size. So happy to find a place to buy hats and caps for big heads!! Shipping was extremely fast!